Paul Asher, an up-and-coming journalist, returns home from covering the war in Afghanistan to find his life falling apart. His marriage is near collapse, and he’s in the grips of a personal crisis he struggles to understand. And more pressing, a soldier he befriended on the front lines is waging his own battle after discharge and Paul is desperately trying to rescue him. 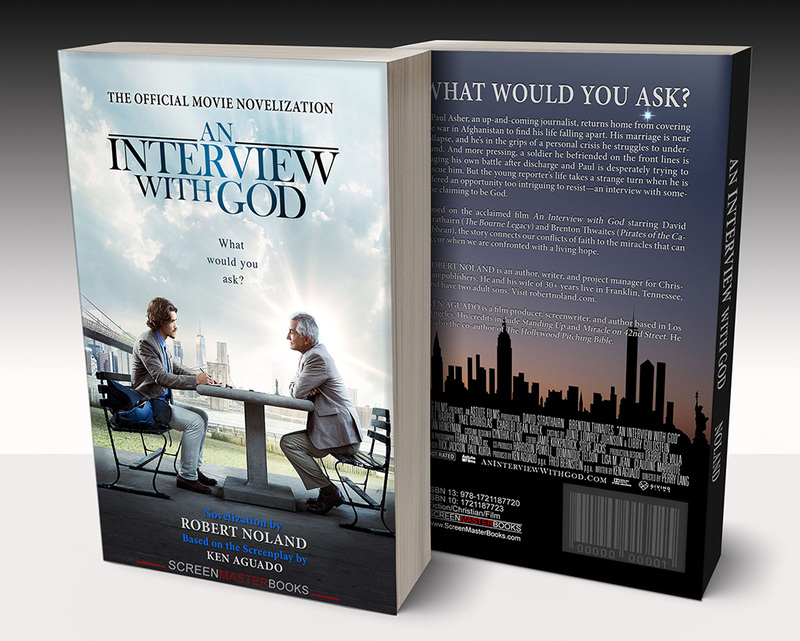 But the young reporter’s life takes a strange turn when he is offered an opportunity too intriguing to resist—an interview with someone claiming to be God. Based on the acclaimed film An Interview with God starring David Strathairn (The Bourne Legacy) and Brenton Thwaites (Pirates of the Caribbean), the story connects our conflicts of faith to the miracles that can occur when we are confronted with a living hope. KEN AGUADO is a film producer, screenwriter, and author based in Los Angeles. His credits include Standing Up and Miracle on 42nd Street. He is also the co-author of The Hollywood Pitching Bible.